When you work with a lot of files within console environment, you may find that your job is being quite tedious. You may be familiar with GUI environment File Managers, such as Nautilus, Thunar, or if you're Windows user - File Explorer, Total Commander. 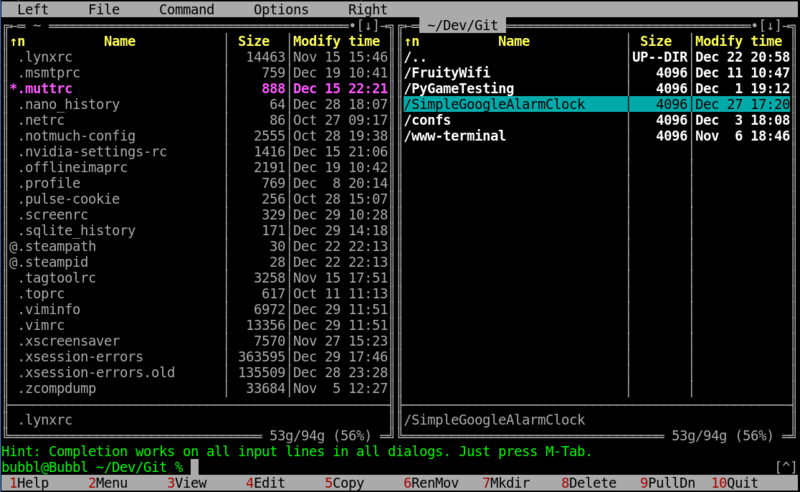 Using a file manager on command line will speed up your work . You don't have to remember syntax/commands associated with file operations. 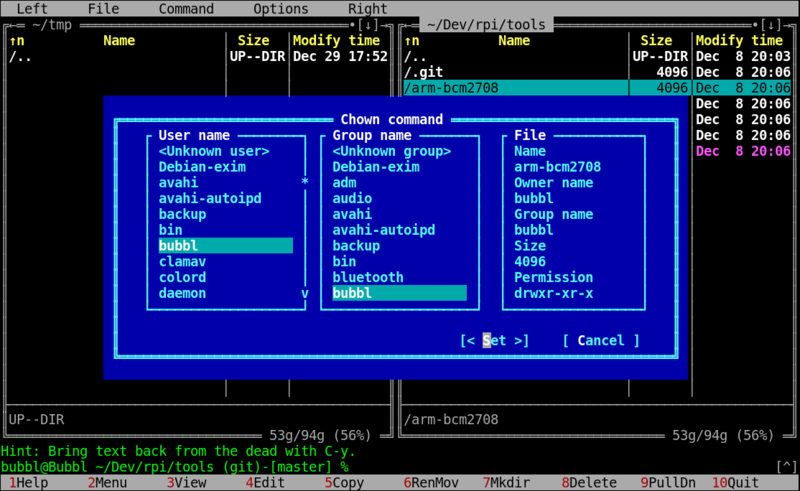 Luckily, Linux has a text based file manager that works on console environment. Midnight Commander, or mc (also the command to run midnight commander) for short, is the tool you want to use. mc has many features which are useful for a user or Linux Administrator. Here are some basic features that may be useful for daily basis usage. 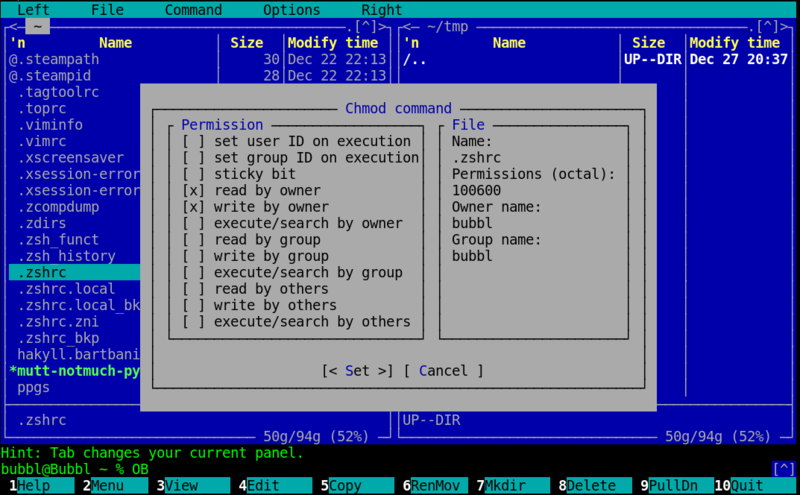 Midnight Commander is divided into two columns - **left **and right column. Those columns (or windows) are independent from each other. Each window represents an active directory. You can switch between windows using [Tab] on your keyboard. At the bottom, you will see prefixed labels. Those numbers represent F1 - F10 buttons. To copy file(s) from one directory to another, simply highlight the file and press F5. If you want to copy multiple files, you need to press [Insert] key for each file you want to copy, or + to highlight all or specified files. MC will ask for confirmation about destination folder (To), Follow links, Preserving attributes, etc. Generally, you focus only on the To parameter. Just hit [Enter] to confirm or click  with mouse, to commit copy process. To move around fields, use [Tab] key. Deleting file(s) is easier - simply highlight the file(s) you want to get rid of and press F8 to confirm deletion. Moving file(s) is done with F6 key. To create a directory, press F7. MC will create a new directory within the current directory. To change later, run 'select-editor'. Now, when you press F4 to edit a file, MC will use the text editor you have specified. Files and directories also have owner and group owner. To manage ownership, you'd use chown command. There is fare more features inside Midnight Commander.